Manchester United will trigger options in the contracts of Juan Mata, Ander Herrera, Ashley Young, and Daley Blind that will extend their contracts until the end of the 2018/2019 season, reports James Ducker from The Telegraph. The contracts of the aforementioned were set to expire at the conclusion of this season; however, by triggering the options United will secure the short-term futures of four important first-team players. United have been trying to tie down Ander Herrera to a new contract for a year now; however, have been unsuccessful in their efforts. By triggering the option in the Spaniard contract’s, United will prevent Herrera and his camp from speaking with other clubs regarding a free transfer at the end of this campaign. Although Herrera is currently behind Paul Pogba, Nemanja Matic, and Marouane Fellaini in Jose Mourinho’s midfield pecking order, the belief is that the ex-Athletic Bilbao man is happy in Manchester and interested in remaining at the club. 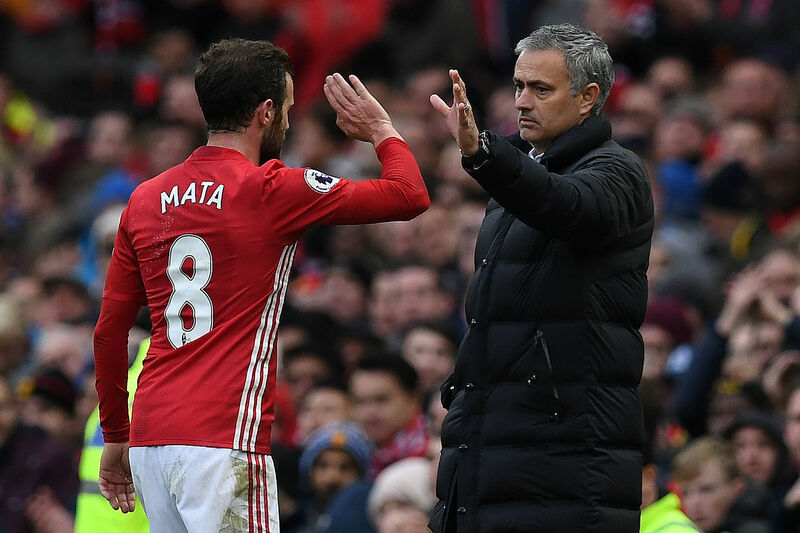 The futures of the others – Mata, Blind, and Young – remains less clear and will likely be decided by Mourinho at the end of this season. Another player whose future remains up in the air at the moment is Marouane Fellaini. The Belgian international’s current contract is set to expire at the end of this season and negotiations on a renewal up to this date have been unfruitful with Fellani’s camp rejecting United’s initial offer to the midfielder. Mourinho is keen on keeping Fellaini at United; however, the midfielder will be able to talk to potential suitors, such as Turkish side Galatasaray, if he and United are unable to agree on a new contract before the new year.